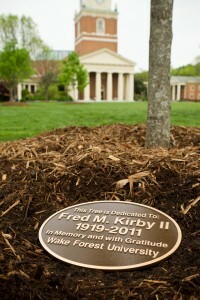 Chances are your first and lasting memories of Wake Forest are associated with its trees. 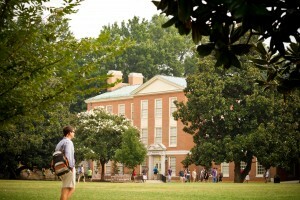 Chances are your first and lasting memories of Wake Forest are associated with its trees. They captivated you on your first campus visit and embraced you with a sentimental adieu as you said your final good-bye. More than likely you exuberantly hurled many a roll of toilet paper into the Quad trees. Perhaps you studied under a towering willow oak, got engaged under a fragrant magnolia, or honored a classmate’s memory by planting a healing dogwood. Coffey, along with arborist Jim Mussetter, oversees maintenance and preservation of a “safe, attractive, healthy and sustainable campus arboretum.” Their team’s work will be recognized on April 20 when the Arbor Day Foundation bestows upon the University a Tree Campus USA designation. To earn the honor Wake Forest achieved five core standards for sustainable campus forestry: establishment of a tree advisory committee, development of a Tree Endowment Fund to replenish any forest impacted by construction or natural disaster, an Arbor Day observance and the sponsorship of student service-learning projects. The fifth criterion is a tree-care plan. Given that plan’s guidelines, dendrophiles might dispel the romantic notion of reading poetry under a Chinese Elm — it’s on the list of prohibited trees along with sweet gums and Leyland Cypress, to name a few. The plan protects and preserves heritage trees — those that have exceptional historical, cultural, or aesthetic value because of their age, descent, legendary stature, contribution to the diversity of the landscape, exemplary representation of genus or species, rarity, or association with an important event or person. Perhaps the most-recognized heritage trees are the Southern Magnolias on Manchester Plaza, or the Mag Quad. According to Coffey’s research, Walter Raphael Wiley and his wife, Monnie Louise McDaniel Wiley, learned of the impending move to Winston-Salem while visiting the Old Campus in 1947. 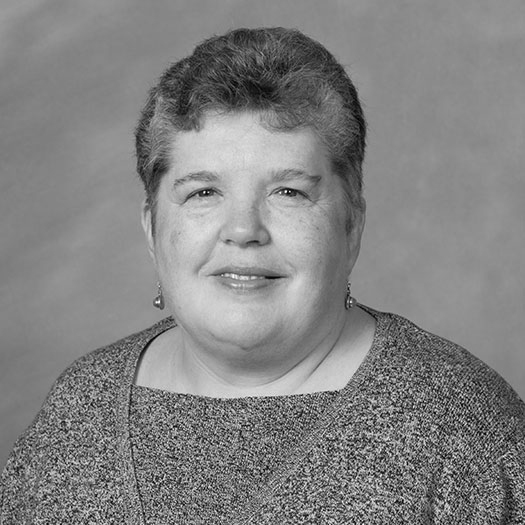 Mrs. Wiley wanted to establish a symbolic bridge between the old and new campuses. An avid gardener, she had her nephew, Robert Earl Williford (’51), collect seeds from the magnolia trees on the old campus. Williford enlisted the aid of Dr. Budd Smith, professor of biology, and the seeds were mailed to the Wileys in Chesterfield, S.C., where Mrs. Wiley planted them in a filled-in swimming pool. In 1956, when construction of the college buildings in Winston-Salem was underway, the magnolia trees in Chesterfield were about 5 feet tall. The administration graciously accepted Mrs. Wiley’s offer to donate the trees. She and her son, Walter R. Wiley, Jr., balled the trees, put them in the back of a large station wagon and delivered approximately 20 to the nursery/landscaping department. They were planted a week later. The plan covers more than 20 memory trees that pay tribute to faculty, students and friends. They are planted in meaningful locations around campus such as outside Tribble Hall, where the late Professor of History David Smiley is honored with a Zelkova. He undoubtedly would have picked up any trash found underneath its branches. Coffey and his team expect each of us who loves Wake Forest’s trees to take responsibility for their care and preservation by respecting a few ground rules. Trees don’t take favorably to signs, banners or hammocks poked into their trunks. And we should find other spots to leash Spot. A tradition for generations to come, just like the trees of Wake Forest.